Hi Everyone! I'm trying out this gratetude jar idea, with a twist. So every week I will be adding a dollar amount to this jar along with a note where I will write one thing I was grateful for that week. I love this idea because it gives me a moment to be grateful and reflect on the good during that week instead of the negative. I also like that I will be saving at the same time. I liked this challenge because it is atainable. I am going to try and chose a day during the week to do this in order to create a pattern, making it easier for this to be accomplished. 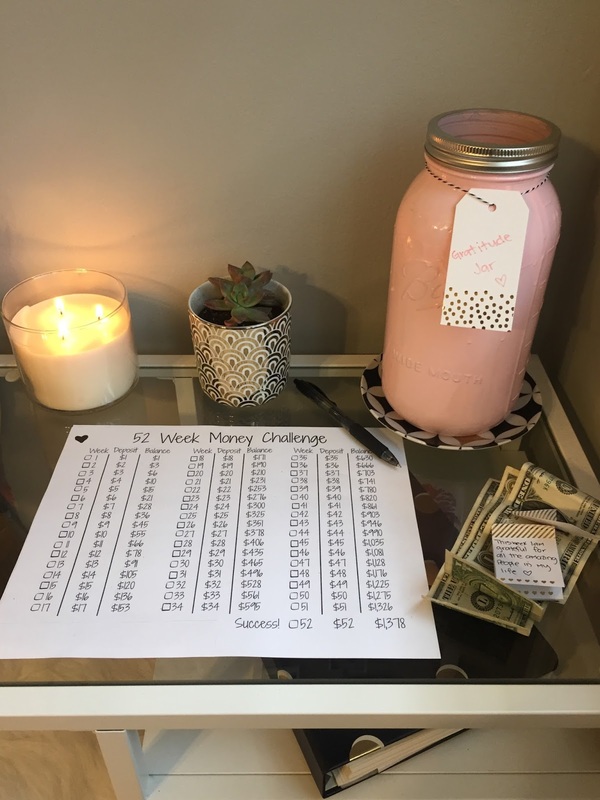 For those asking for details, the dollar amount depends on the week number, for example week 1-1 dollar, week 2-2 dollars, week 26-26 dollars, etc. I thought I'd share this since I really liked this idea and thought it would be fun to share with others.